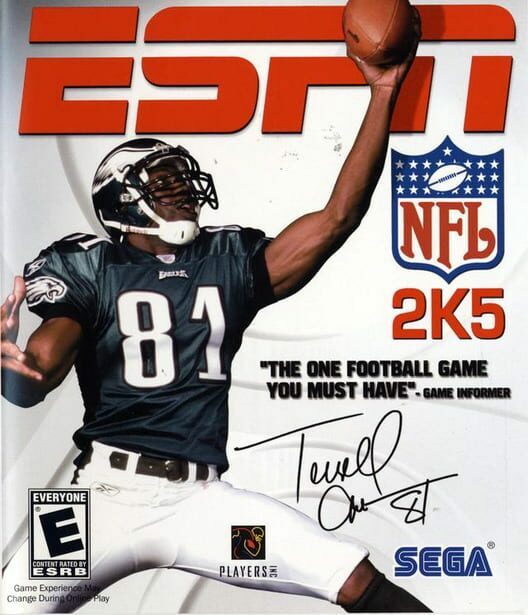 ESPN NFL 2K5 is an American football video game developed by Visual Concepts and published by 2K Sports and the Sega Corporation. It is the sixth installment of the NFL 2K series. The game was originally released on July 20, 2004, for both the PlayStation 2 and Xbox video game consoles. This is the final game in the ESPN NFL 2K series.